I really liked this movie. 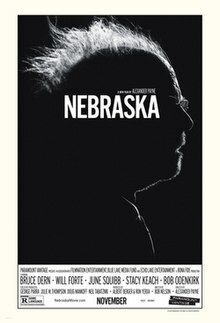 It’s a very simple, subtle film, but it tells such a great story. I’d imagine a lot of people would find it boring, and probably wouldn’t like that it’s in black and white, but I found the whole thing delightful. And it was great to see Will Forte in a more serious role. Good stuff. 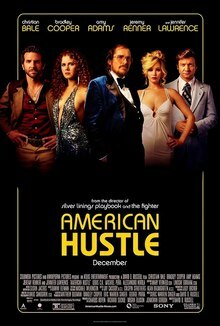 I really WANTED to like this movie, but all I can muster is a “meh.” I like David O. Russell a lot, so I was really let down that this movie wasn’t better. It looks cool, the soundtrack is great, and the acting is good, but it’s just kind of boring. I honestly don’t even remember how it ended because I was just ready for it to be over. Not really worth your time, in my opinion. It’s honestly not fair for me to review a Wes Anderson movie. I love them before I ever see them. It’s just one of those things. I won’t even allow myself to be let down. But even still, I wasn’t let down. The look and feel was exactly what you expect from an Anderson film, and one of the things that makes them so unique and fun. The plot was a nice, new venture, with quite a few laugh out loud moments. The acting was fantastic, especially from newcomer Tony Revolori. The casts for these movies just continue to grow with each film; it’s really quite crazy. The soundtrack didn’t stick out to me as much as it usually does in his movies, but it’s hard to take in everything in the first viewing. So, duh, see it. I can’t wait to see it again. ← Recent Viewings – Tween Edition!